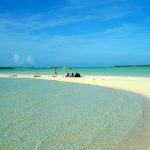 Moriah Harbour Cay is a 13,000 acre deserted island which The Bahamian Government has designated as a “marine park” because of its natural beauty. One of a few in the whole Country. 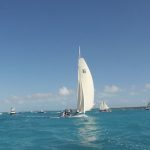 It is only reachable by boat or kayak, and since it is out of the area for the Minns rental fleet, plus to reach the Cay from the west involves crossing “The Haulover” , which as its name suggests is very shallow at low tide. 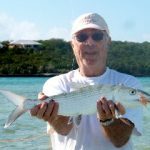 So few visitors have access to the island (unless you rent from Harbour View or Exuma Vacation Cottages, both of which provide kayaks and are a 10 minute paddle across sheltered waters). So it is rare to see other people on Moriah Harbour Cay. Once on the island you will find a lagoon in its center and as you walk the perimeter of the blue waters you will be visited by baby sharks, each eager to see what has stirred up the waters, they will approach until about 2 or 3 feet away then turn and disappear leaving a trail of disturbed sand. Wading birds love this area and as the tide recedes and leaves pools, the birds will dine. On the northside you have pristine soft sand beaches for a half mile and shallows where you find sand dollars and at low tide offshore sandbars form, allowing you to walk out for several hundred yards. For the explorers, if you walk east you will come to rocky outcrops, then a half-moon shaped bay, walk further and another rocky outcrop followed by another private bay. This repeats several times till you reach the northern shore where the open Ocean provides an even more beautiful sandy beach. So Moriah Cay should be high on your to-do list. 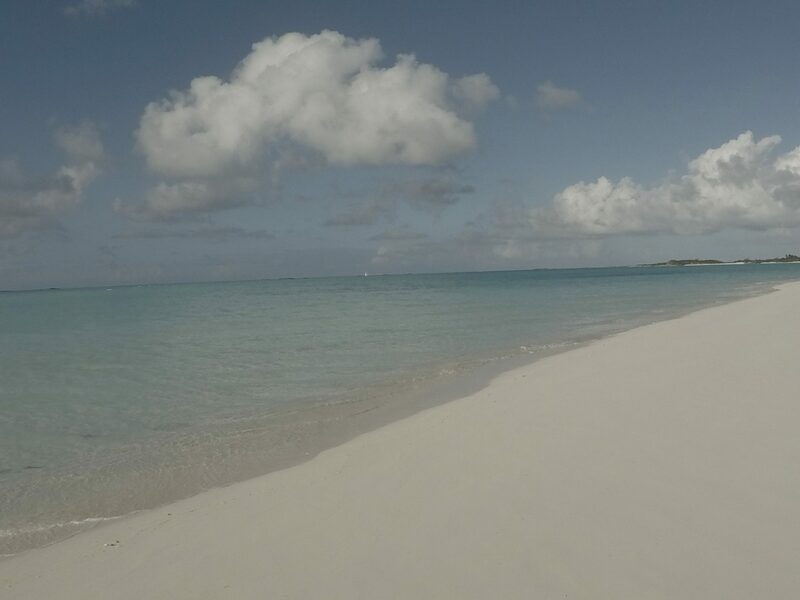 deserted, soft white sand, turtles, sharks, crabs, sting rays, and exercise…what more could you want? All the beaches in Exuma are cool ! If I have to pick one it’s the one we send our guests to on the day they arrive. After a stressful flight with the hassles of negotiating those automated check-in robots, then the “take your shoes off” “get rid of that drinking water” Ugh!. 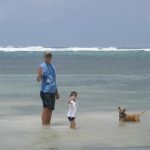 So we send them off to Pretty Molly Bay, a short three minute drive away. As they walk to the beach and the view is revealed, they start to unwind, the stresses dissolve and “Wow”. As they step onto the powder soft sand and realize that Pretty Molly Bay is, as its name implies, a bay about 400 yards with rocky outcrops at either end, and you can almost be assured that you have the beach all to yourselves. The predominant wind, if any wind is blowing, is from the East so Pretty Molly Bay is well protected and calmer than the ocean. Relax and get your vacation mood on. Swim in the 70 degree water and snorkel along the rocky edge to see some of the resident fish. 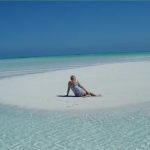 So visit and enjoy when you come to Exuma.